Not in stock - ships in 1 to 2 weeks. 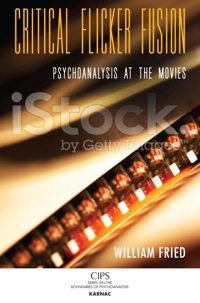 The premise of this book is that films, like other works of the imagination, may be elucidated by applying methods derived from psychoanalysis, and that doing so will result in a deeper and richer appreciation of the film’s meaning. The book explores a number of feature films that lend themselves particularly well to this process. Both in his introduction and throughout the text, the author comments on the method and discusses continuities, similarities and differences among the films. The book is structured according to the central themes of the films, including time and death, love and lust, secrets, and human identity. Some of the films are relevant to more than one of these thematic elements. The introductory essay explores the themes, their representation in the films, and the ways in which they may be elucidated by a psychoanalytically informed critique. Brief paragraphs between the sections of the book facilitate the transitions. In an appendix, there are three essays titled 'Mise en Scene,' 'Whatever Flames Upon the Night,' and 'Mad Doctors.' They are relevant to the similarities among movies, dreams and clinical psychoanalysis. From divergent perspectives, they discuss the ways in which acts of representation are fundamentally transgressive and thereby affect alterations in consciousness for those who witness them.